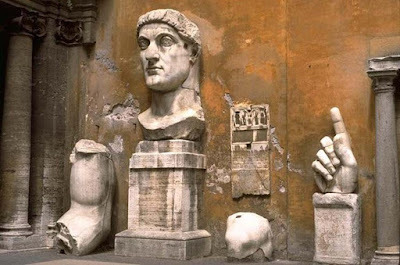 During a certain uprising in Constantinople during the reign of Emperor Constantine, some embittered men broke off the nose and ears of the statue of the emperor in the city. Many adulators quickly came to the emperor and with great disgust relayed to the emperor how rebels broke the nose and ears from his statues and they asked the emperor to punish the transgressors with the most severe punishment. The great emperor felt his nose and ears with his hands and said to the flatterers: "I feel that my nose and ears are whole and undamaged!" The flatterers were ashamed and withdrew. With every royal generosity we all need to endure insults from others. Yet, with particular caution listen to accusations against other people, which our flatterers bring to us. We should always confess before God and before ourselves, that we, by our sins, deserved even greater insults than those which are perpetrated against us.